Having the best solid, cloud-based WordPress backup service is the first and most important security option for any WordPress LMS and membership website. 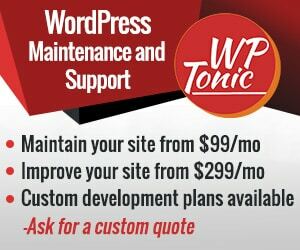 WP-Tonic provides powerful cloud backup services and solutions for WordPress LMS and membership websites that rely on WordPress LMS plugins, ensuring that the large amount of content on your website and in your database is quickly replaced in case of a hack or accident. No matter how broken your wordpress LMS site may be, our best cloud backup solutions for small businesses prevent permanent damage. Whether your WordPress LMS website is maliciously damaged or broken by a simple mistake, regular cloud backups ensure no damage is permanent — cloud-based WordPress backups and WordPress site maintenance services are a regular part of all our Care Plans. To ensure you get the highest level of service, we have partnered with UpdraftPlus and WP Time Capsule to provide your cloud-based backup. WP Time Capsule offers cloud-based, offsite WordPress backups, a service we offer to most of our clients as a part of our Care Plans. WP Time Capsule provides a potent mixture of powerful tools to ensure your WordPress LMS or membership website is totally backed up on a daily basis, adding an additional level of security and ensuring your content is protected and, in the case of disaster, your clients won’t have to wait long before the content they need is restored. Did you accidentally break something while making changes to your WordPress website? Or worse, did you delete a bunch of content you didn’t mean to delete? Do you want to revert back to a previous WordPress version of your site but don’t quite know how to do so? And even when you do know how to restore to a previous version, how do you know which version to choose? WP Time Capsule has the perfect cloud-based WordPress backup solution to your problem. Just load a backup version to any of our test servers, and you can see it working like a real website to see if it is indeed the one you need to restore. Hackers are always on the prowl to exploit any vulnerability — our WordPress backup service keeps you protected day and night (weekends too). Whether your WordPress website is compromised by a late-night or weekend hack or a human error has resulted in a failure, WP Time Capsule will always be by your side to get you back up on your feet quickly. The Auto-Restore feature automatically restores the right backup to your server at any time of the day or night, all without a need for manual intervention. Your WordPress website will stay functional until the next business day, at which point we’ll take a look at the damage and perform further restores as necessary to get your WordPress LMS or membership website back where you want it to be. WP Time Capsule maintains a 30-day history of your WordPress backups so that you can go back to any of them at any point in time. It’s not always immediately clear when you’ve been hacked — and when you simply make a mistake on your website, you might not notice it immediately. In rare cases (or if you have someone else regularly publishing content to your website), you might not know for weeks that something important has been broken, some piece of content removed or altered that shouldn’t have been. 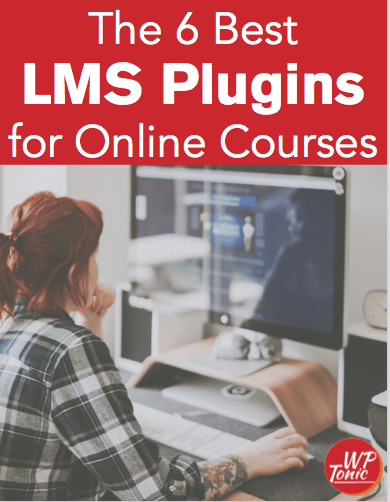 With 30 days worth of WordPress backups, you’ll be able to reach back into your WordPress LMS website’s history to find the exact backup you need. All of this is only a part of the full suite of services you get with our WordPress Care Plans — click to learn more about your plan options.